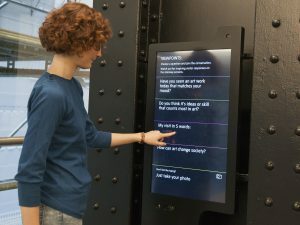 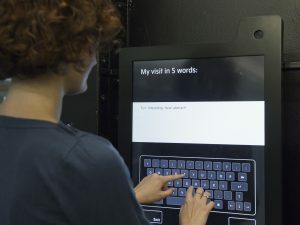 Bloomberg Connects is a collection of 12 public-facing applications developed to be used across three floors at Tate Modern in London. 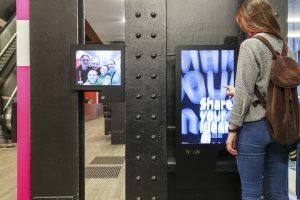 The project connects the gallery to the public by using 12 inter-connected applications that work by inviting the audience to engage with, comment on, question and create art. 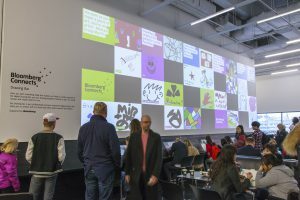 From drawing, Q&A with the artists and selfies to media playback, each touch-screen application invites the visitor to engage and interact – with the art, the artists, each other, the galleries and the Tate itself. 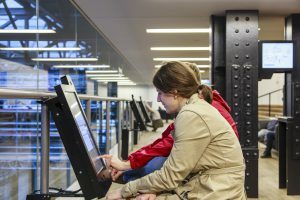 Over half of the 75 screens used in the project cascade down the gallery’s stairwell. 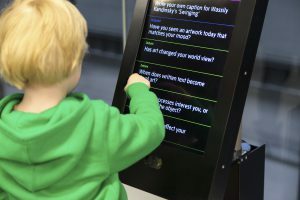 Up-cycled pre-used Bloomberg monitors powered by Raspberry Pi’s display the public’s interactions with the Bloomberg Connects apps, attracting more visitors to take part. 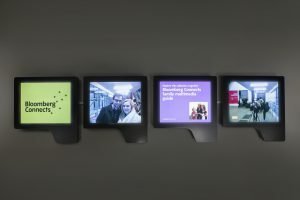 The studio was commissioned by friends and frequent collaborators, Jason Bruges Studio, to work on the design and development of the screen-based aspects of the project. 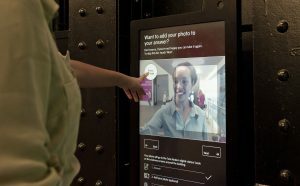 Kiosks – visitors can take selfies, sign up to the mailing list, take part in a Q&A etc. 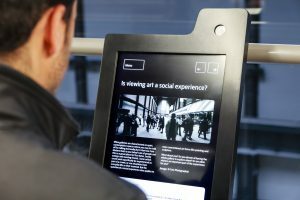 Due to its success, the digital project stayed in use even after the commission period ended and aspects, including the Drawing Bar, are still in use. 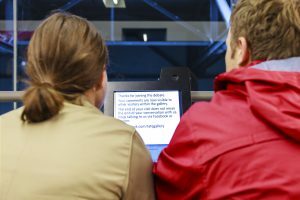 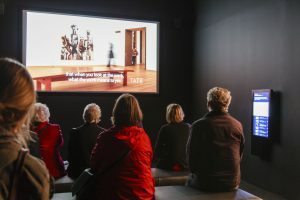 By creating a dialogue with visitors the Tate gathered invaluable feedback that has helped to shape and inform their approach to how they connect with the public.